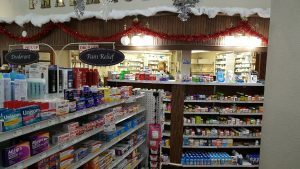 The Juneau Drug Co is your place if you feel a cold coming. It is open every day and easily accessible down town. You can find everything or just need the fixings for an Epsom salt bath. 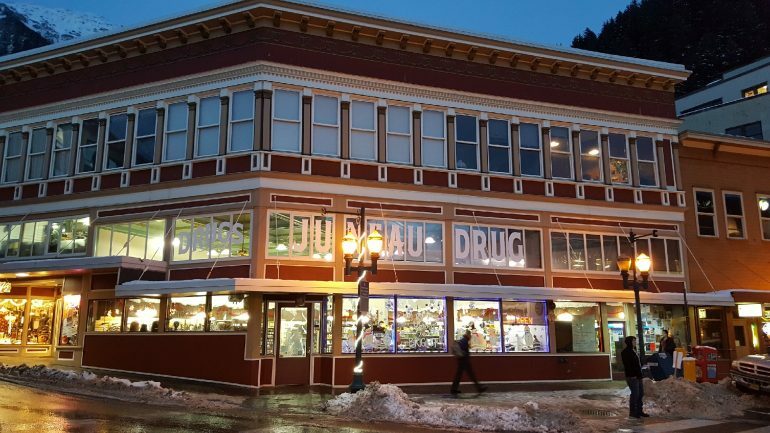 Located on the corner of Seward and Front Streets, Juneau Drug presents a convenient location for downtown residents as well as tourists visiting for the day off the cruise. 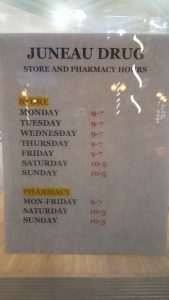 There is a pharmacy for fulfilling prescriptions as well as over the counter medicines and beauty products. 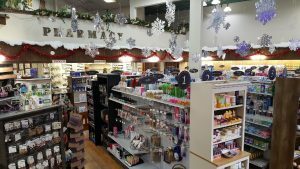 The Juneau Drug Co is a small business and locally owned. Support local businesses! Visitors cannot miss the store. One can see “Juneau Drug” written in gigantic letters on the front of the building. 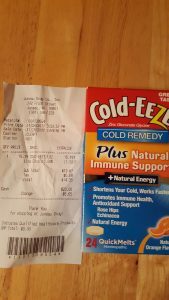 I always go to Juneau Drug to pick up my supply of Cold-Eeze. I definetly recommend that you visit JD to get your supply when you start to fill ill. This stuff really works. Your talking about being a little sick versus a lot sick for a long time. You can get a bag of fresh popped popcorn at JD. There are other treats to be had too. Shoppers can visit the store daily. On Tuesday, locals receive 10% discount.